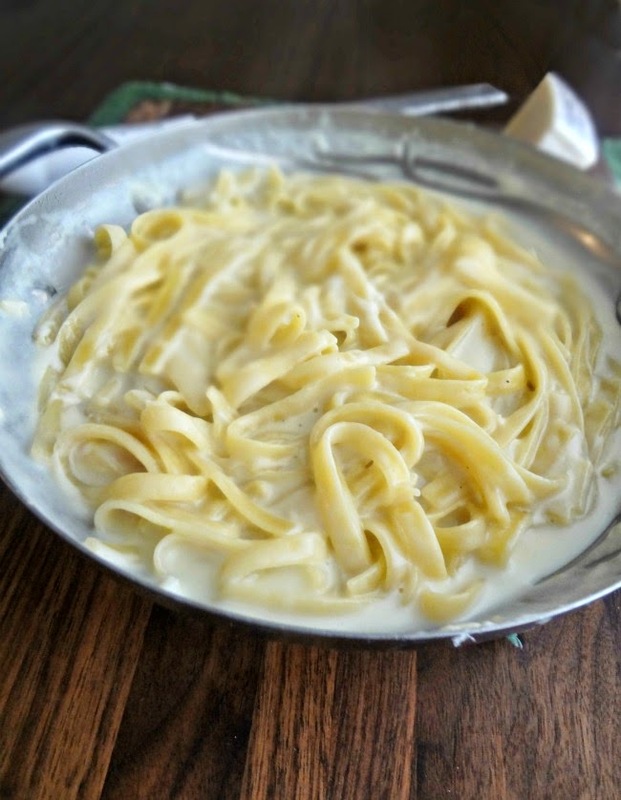 Rich, creamy, flavorful, healthyish pseudo-alfredo that makes minimal dishes and Michael actually likes. IT'S DECEMBER. Which means it's officially the Christmas season. Which means I can figure out how to decorate my new house. It means I get to watch Christmas movies. I can listen to Christmas music and no one can say anything about it! And there's gonna be cookies. Lots of cookies. But sometimes we need to eat non-cookie things. And maybe we want that thing to be pasta. I've already made this pasta twice. Because it is so good (also it doesn't make a ton of pasta so it was gone allll too quickly). Listen up to how this goes down: you make a sauce from chicken broth, milk, butter and garlic. 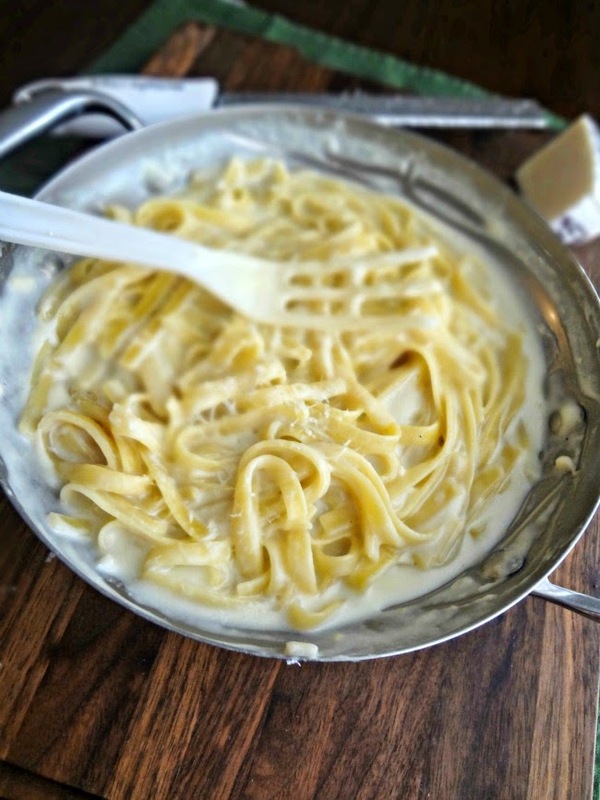 Then you cook the fettuccine right in the sauce! This means you make everyone in one pot and it also means that the noodles soak up that flavor as they cook and this thickens the sauce in the process. You finish it off with some parmesan cheese (and maybe fresh parsley if you have it) and you're done! 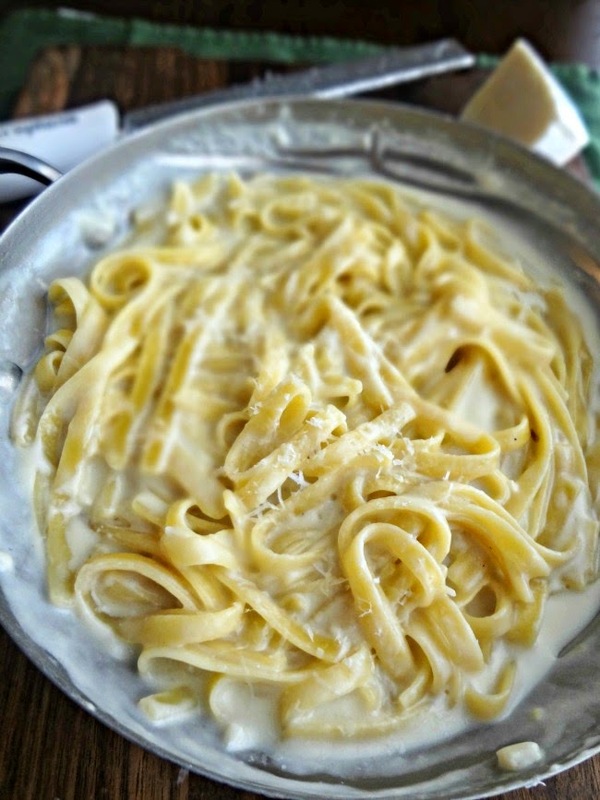 The result is super creamy and rich and no one will ever believe that you didn't use heavy cream and tons of butter. Which is awesomeness. I will give you a couple pieces of advice: it's easy for the noodles to stick together so I suggest breaking them in half before throwing them in to cook and also just consistently stir and try to keep them separated. Also, the sauce gets extremely thick and somewhat clumpy as it gets cooled so it is definitely best served fresh, but you can add some milk and try to heat it back up to thin it back out if necessary. Looking at these pictures...mmm....I think it's time for another batch! Heat olive oil in a large (fairly deep) skillet over medium high heat. Add minced garlic and cook, stirring frequently, for about 1 minute-until fragrant and slightly softened. Stir in chicken broth, milk, butter, salt and pepper. 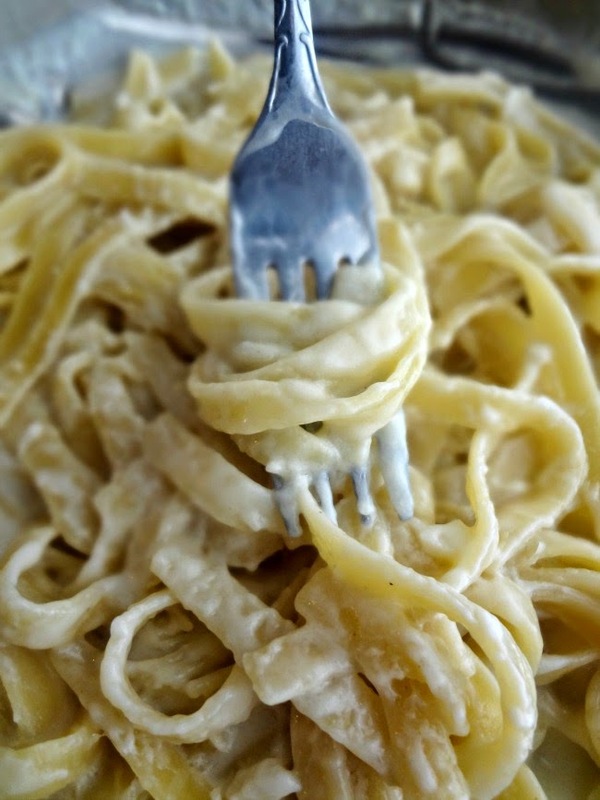 Add fettuccine. Bring to a boil and then reduce heat and simmer, stirring frequently (try to prevent the noodles from sticking together), until the pasta is fully cooked, approx. 18-20 minutes. 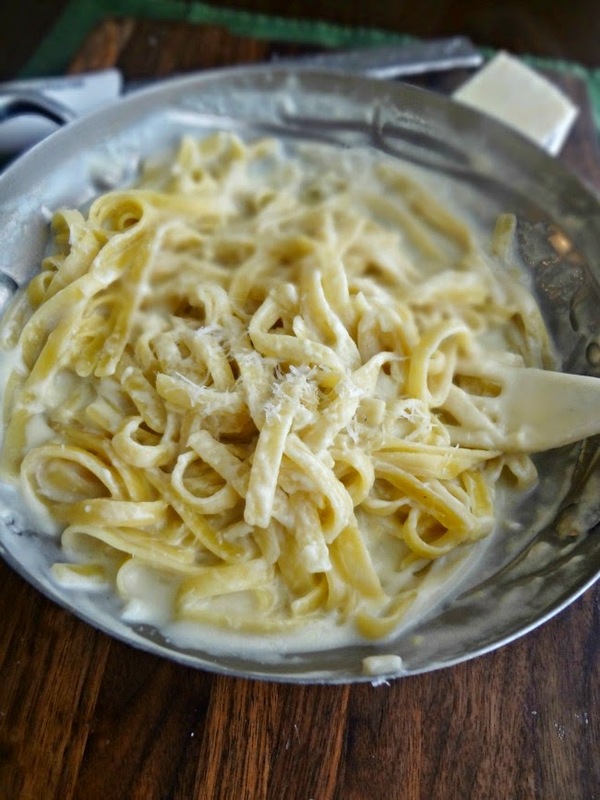 Stir Parmesan cheese into the pasta and if the sauce is too thick, add a bit of milk until it is your desired consistency. 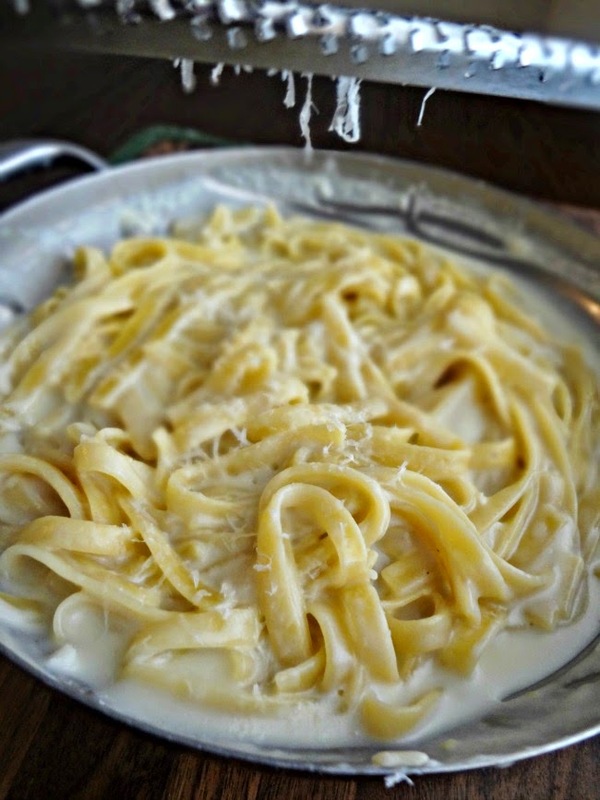 Serve immediately, garnish with parsley if desired and more Parmesan cheese. A fork full of yum!